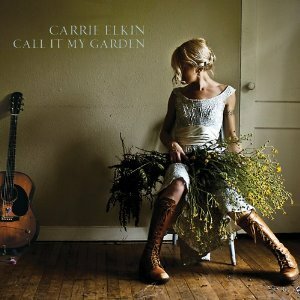 The first new album to really grab me in several months was Carrie Elkin’s Call It My Garden. The second was Danny Schmidt’s Man of Many Moons. As I learned after noticing their names among the credits on each other’s CDs, they share more than a record label—they’re a couple. There must be some pretty good music sessions in their house. Elkin’s disc begins with a laugh and the playful melody of “Jesse Likes Birds,” but the songs that struck me most on her CD are the softer, more introspective ones, the best of which make you feel as if you’re listening in on her private thoughts. “The Things We’re Afraid of” is one of several standouts, but the tracks on this remarkable folk outing range only from good to great. Elkin and Schmidt both sing mostly original material on these discs, but each of them serves up a fine cover version. Elkin delivers Dar Williams’s “Iowa” while Schmidt takes on Bob Dylan’s classic “Buckets of Rain.” Like all first-rate covers, both of these readings do more than reprise the original; they add to our understanding of it.